GoldwingDocs sends out a newsletter on the first day of each month to all of our members via email. This newsletter contains the announcement of the previous months' contest winner as well as details on the current month's contest. In addition, it includes news, reviews, information about new additions to the site, and other relevant information. It's hard to tell what the future holds for motorcycling and motorcyclists. Without question, this is an industry that is undergoing massive upheaval. In ten years, motorcycling will likely be very different than it is today. Many young people today have no interest in vehicular transport of any kind, and think the ideal way to get around is as a passenger inside of a computer-guided self-driving appliance. Sales of motorcycles to the younger demographic have plummeted. The leading manufacturer in the US (Harley-Davidson) realizes that its cash-cow market is aging out and dying off - and no longer buying motorcycles. It's desperately scrambling to remain relevant to younger people by introducing an electric motorcycle. Zero motorcycles, making what was once an exotic toy, now finds itself at the core of motorcycling with its electric offerings. Honda is going a different route, doubling down on its automatic DCT offerings, adding it to more and more motorcycles every year. 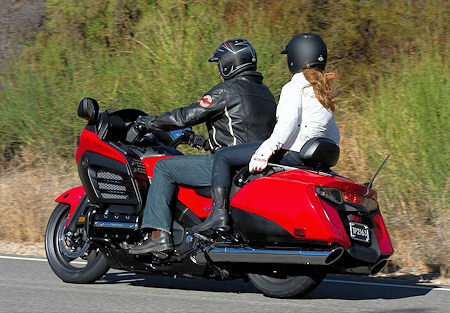 The Goldwing itself was scaled down and packed with technology in hopes it would appeal to younger riders. With all of that said, my wife and I headed off to a motorcycle dealer a couple of weeks ago to have a look at a Suzuki Burgman 400. This would be a replacement for her Honda PC800 Pacific Coast, which she was just not riding anymore due to its weight. You can see the result of that shopping trip in the picture here - not so visible behind her helmet is the huge smile on her face! She's anxious to get on the road, and looking forward to attending the GoldwingDocs Gathering this year. The motorcycle dealer was absolutely packed with people. And these weren't tire kickers, these were buyers. Salespeople were being run ragged, serving several customers at once, and we had to wait in line for almost an hour to actually pay for her new Burgman. I watched no fewer then 10 bikes roll out the door in the few hours we were there. This to me does not appear to be an industry on life support. Also interesting were the number of female customers looking to buy a bike, my wife included. This is a huge untapped market for motorcycle manufacturers, but they need to realize that the latest 800 pound cruiser or adventure bike with a 33 inch seat height is not what women are looking for - or capable of riding. Once they progress past their 250cc learner bike, there is a dearth of choices for smaller riders. 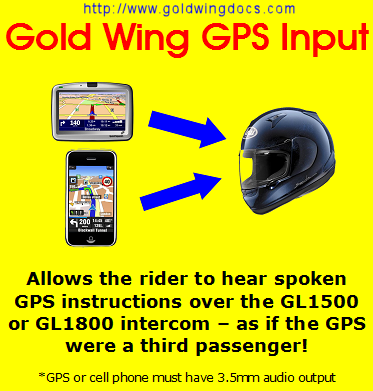 Last month I talked about the discontinuation of the Goldwing GPS Audio Input Device, and mentioned that anyone who wanted one should likely buy it soon before they're gone. Quite a few people did just that - so if you are still on the fence, you should make up your mind soon! On the opposite end of the spectrum is the G8MS-H30 relay for the GL1500. 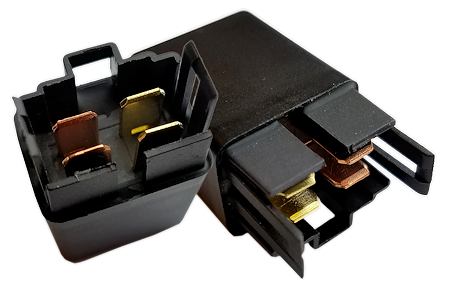 The GL1500 is literally packed with these relays, and it is used to operate everything from your engine ignition to your headlights. These relays are mechanical devices, and they do fail in time - and a failed relay can leave you stranded. Honda sells them for a ridiculous price, so I made a deal with a manufacturer to build a large quantity of them for a much more reasonable price - less than half of Honda's price - and passed the savings on to GoldwingDocs users. I haven't mentioned them for a while because I was getting low on inventory, and had to decide whether or not to commission another manufacturing run. There's no question that the Goldwing is a big, heavy bike. There are advantages to its design, with the low seat height and low center of gravity with its horizontally-opposed engine. Its low seat allows even those with slightly shorter inseam to manage the bike, but what about handling the weight? 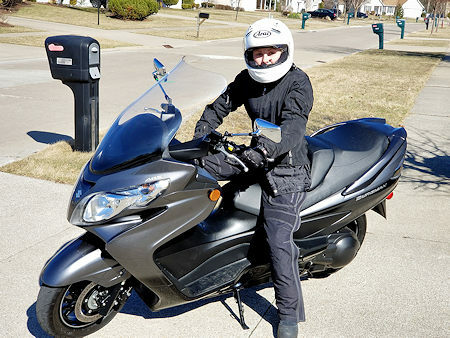 GoldwingDocs member hap2 has a friend who is 5'5" (165 cm) and 160 lbs, and wants to know if he is big enough to be handle the GL1500 he is considering purchasing. So he came to GoldwingDocs users and asked their opinion. 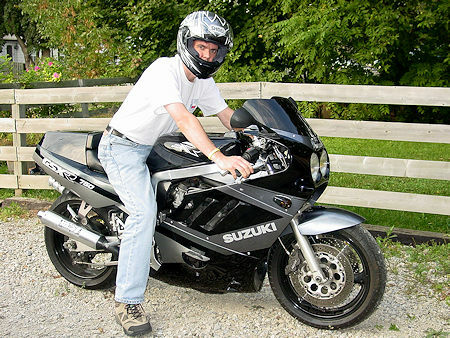 The rider in the picture shown here is handling their GL1800 - but on tiptoes. I easily handle my GL1500 with my heels on the ground, but I have long legs. When sitting on most tall adventure bikes, I am on my tiptoes. Would I ride those bikes? Yes, but I have many years of riding experience. Similarly, I can recall a GoldwingDocs member who was a diminutive 5'2" tall, and managed to ride her GL1100 very easily despite only being able to get one foot on the ground at a stop - and having to slide off the side of the seat to do even that. But again, she was a supremely skilled and experienced rider. So what is your opinion? Is 5'5" too short to safely operate a Goldwing? See what others had to say, and add your opinion: 5'5" - Too Short? Giving a Ride to a Stranger? You've got a bike for sale, and a potential buyer shows up - and he's interested. He looks the bike over and asks you if he could take it for a test ride. As a private seller, the response to this question is often no - with good reason: If the rider crashes your bike, you're left with a ruined bike, and potentially no insurance to cover it. Does the test rider have insurance? Does he even have a motorcycle endorsement? Is it up to you to check this? What if he crashes, then sues you? You could lose far more than just a bike and a few thousand dollars. So what are the alternatives? Member hap2 (again!) told a potential buyer "no", but offered to ride it for him, allowing the buyer to follow in his car. The buyer countered, asking if hap2 would taken him for a ride on the bike with him as a passenger. Now when I take a passenger, I normally know and trust the passenger, can judge whether or not they will make a good passenger, and will be safe for me to give a ride to. But what about when it's someone completely unknown to you? Read what advice others offered, or give some ideas of your own: A Ride to a Stranger? GoldwingDocs member oldmopars has a conundrum. 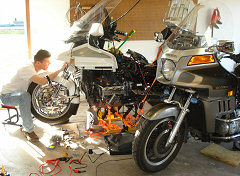 He currently owns a 1984 GL1200 Aspencade and a 1996 GL1500SE. The GL1500 is his daily rider, and the GL1200 is a good bike that needs a little bit of work - but he owns the GL1200 outright, while the GL1500 is not yet paid off. He's trying to decide whether he loves the GL1500 (and its payments) over the GL1200 - and its lack of payments. He's written up a pro and con list for each bike, but it's not quite as simple as you would first think. He's asking for help from others with knowledge of both bikes, to add to both his pro and con lists. With any luck, he will be able to sway the argument one way or another and come up with a definitive decision. Want to help him out? Check out: GL1200 vs GL1500 Advantages? Some of us have owned many different motorcycles over the years. I will admit to an obsession with extra-legal sport bikes earlier in life, such as this 1989 GSX-R750 (one of the last oil-cooled Gixxers). This bike came to me from a professional factory drag racer, and quite a few of those drag-race track parts were in this bike. It was extremely quick. So why did I sell it? What was I thinking? This was a spectacular bike, in amazing condition, and fasst... hmm, maybe it's better that I did sell it before I got myself in serious trouble. GoldwingDocs member ka4yqi asked this question of our members, and he really sparked something, judging by the responses. It would seem that just about everyone misses the "one that they let go." Be it their very first bike, fondly remembered, or maybe the previous bike that was just a bit better than the new one. Do you have a bike you wish you hadn't sold....or otherwise gotten rid of? Join in the conversation: Ever got rid of a bike you wish you hadn't? When I first moved to Ohio, I had to re-take my driver's and motorcycle rider's written and practical tests over again. Having sold my GSX-R in favor of a GL1100, I was faced with taking my test, riding in and out of small cones and painted lines, on a large Goldwing with a long wheelbase. One problem: the wheelbase and steering of the GL1100 was such that it was not physically able to get through some of the corners without clipping a line. If I was going to pass the test, I would have to be able to get through it without losing any other points, to make up for the points I would lose from the bike clipping the lines. 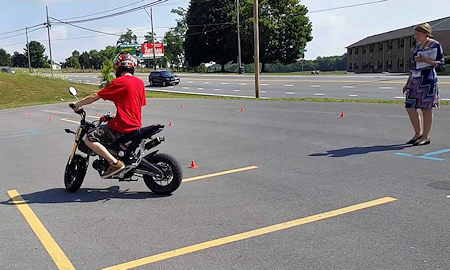 In some cases, some GoldwingDocs members borrowed a friend's tiny motorcycle to take the test, like the rider here, taking his examination on a diminutive Honda Grom. Member minimac was curious as to what bikes other members used for their motorcyle road test. He rode a 1965 Yamaha 80. What about you? What did you ride for your driver's test? While this is a problem reported by GoldwingDocs member larrythecabinetguy about his GL1500, it could actually apply to any year Goldwing. He bought his 1996 GL1500 last fall and noticed it had a noise that he had not heard before on other GL1500's: a low kind of grumble, that rises and falls with the engine RPM. The bike seems to ride normally, and there are no other issues - just this sound that he knows is not right, and finds very annoying (I can sympathize, I'm just as picky about unnatural noises in my vehicles). He came to GoldwingDocs hoping that our users could be of some help. And boy did he get what he was looking for! He first tried describing the noise, and our members thought it might be down to the type of air filter used. He pulled the bike apart, replaced the air filter and ran it up...but the noise didn't go away. 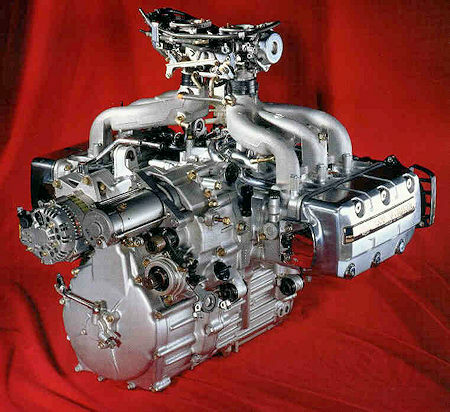 Next there were some worries that it might be something more serious - akin to piston slapping, or something mechanically serious. But it was member bellboy40, from Alabama, who came up with the correct answer. A relative quick fix, and cheap (i.e. free), and Larry's GL1500 is peacefully quiet once again. These are my favorite kind of posts - the "hey I have a problem" followed by lots of people jumping in to help, leading to "hey, that was it, it's fixed, thanks!" Here's a member who could really use our expertise and help. Member Psycheonabike in England has a 1985 Aspencade that's giving him a bumpy ride. When the engine is under load, particularly when riding up a hill, the bike is bumping and banging - he says it sounds like he has a hexogonal shaped wheel! My first thought, and that of others, was that he was experiencing a bad U-joint. But examination by him and his mechanic hasn't borne that out. He wrote about the issue and initial exam here: U-Joint or Something Else? It's now been a couple weeks, and his mechanic has been unable to figure out what the problem actually is. He thought perhaps it was tires, but that appears not to be the issue either. Now he notices that it also happens in neutral, and even with the ignition off, so it's definitely something along the driveline, as it appears to be emanating from the rear of the bike. In Idaho, member GL3 wants to rebuild the front forks on this 2005 GL1800 trike - and he wants to upgrade the OEM springs while he is at it. He is thinking perhaps replacing them with Traxxion or Progressive springs, but doesn't know which might be better for his trike. Trikes put a very different type of punishment on the already over-taxed fork system on a Goldwing. When turning, trikes put a tremendous amount of lateral force on the forks, as they are called upon to turn the now very heavy trike. This increases stiction, and reduces their ability to absorb impacts. He's already done quite a bit to his GL1800's front end: he replaced the seals and bushings, and cleaned the fork tubes and sliders. 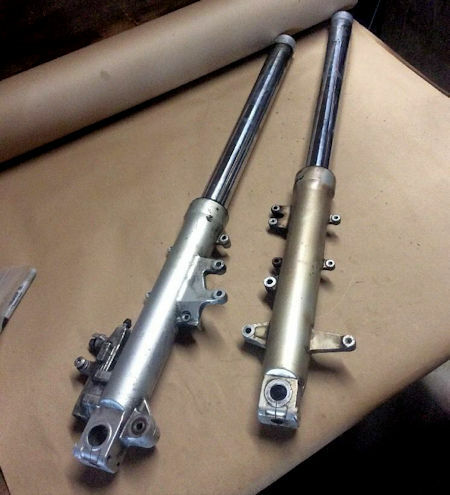 He said the oil that was in the shocks was like sludge, so the damping and spring travel on the forks as they were was minimal. So any replacement should be an upgrade. He does have a rake kit on the trike, so he's really looking for assistance in what would be the best improvement to his existing setup. Some members recommended strut cartridges, but there are some existing trike owners who specifically recommended springs, for a few different reasons. There are lots of pictures of strut, fork and rake installations from other trike owners in this thread, so even if you're thinking of triking your GL1800, or adding a rake kit to your triked GL1800, there is something here for you to read through. 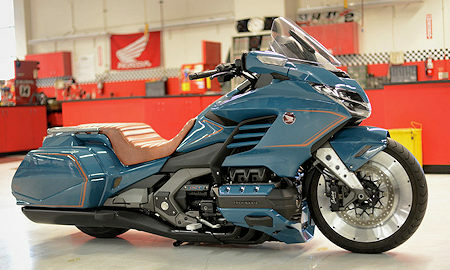 The custom 2019 GL1800 you see here was made for Honda - but it's not for sale. It was commissioned by Honda for Daytona Bike Week show, and will be travelling the motorcycle circuit in the Honda display over the rest of the year. The stereo system in the GL1500 might have been fairly state-of-the-art back in 1988, but by today's standards, it's hopelessly outdated. Add to that the advance of technology with which the old stereos are completely incompatible (satellite radio, cell phones, MP3 players), and GL1500 owners have come up with myriad ways of trying to graft newer functionality to the old audio systems. GoldwingDocs member smack67 decided it was time to completely upgrade his system to something modern, and the results are shown here. He built an adapter harness, leaving the original in place, so that should he choose to go back to the original system in future, he can do so relatively easily. He also installed some 5.25 inch speakers in the dashboard, and these, along with the 40 watts per channel output of the new stereo (compared to the GL1500's 12 watts per channel) makes for a far better music experience when on the road. The third annual GoldwingDocs Gathering is happening this year from September 11-15. This year we are based at the Maggie Valley Inn, in Maggie Valley, North Carolina. It's been brought to our attention that this area is extremely popular at this time of year, and that hotel room bookings are in short supply. If you don't have a room booked ahead, the chances of successfully booking one closer to the event date are slim. For that reason, I would highly suggest that even if you are considering attending, that you book your room now, rather than leaving it until later. We have a block of rooms available - just ask for the GoldwingDocs block when calling. The 2019 GoldwingDocs Gathering looks like it will be the best one yet, and if past years are anything to go by, the weather will be spectacular - as will the rides! The huge number of used (mostly GL1500 and GL1800) parts that I bought a couple of years ago continue to be added to the site for sale. I split my time between photographing and adding new products, and filling the orders that people place. There are still literally hundreds (probably thousands - I haven't even opened all of the boxes yet) more parts that have yet to be added to the site, and I'm working my way through them as I can. Goldwings, particularly GL1500's and GL1800's, are filled to the brim with relays. These electromagnetically-actuated switches are used to switch all kinds of circuits, from headlights to radios to even the starter. However, they are a mechanical device, and after some time they will fail. Of course, we still have our other products as well: GL1000/GL1100/GL1200 7 volt regulators, and our ever-popular GL1500/GL1800 GPS Input Devices. Careful on the sandy roads this spring! Next month's newsletter will be a Product Review Special. See you then! Congratulations go out to our GoldwingDocs.com user bellboy40 who is the March 2018 contest winner! He wins a Travel First Aid Kit, just for entering the contest and posting messages in the forum. The April contest prize is a Dynaplug Tire Repair Tool. To be eligible for the April contest, just visit the GoldwingDocs.com Contest Page and click to register for the contest. As always, it's free to register! Once you're registered, every message you post in the forum during the month of April gains you another contest entry! Good luck! 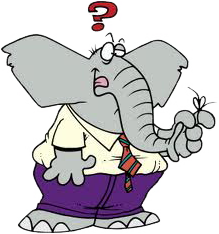 Have you forgotten your User ID and/or Password? Click here to visit the password reset page, and then click Submit to reset your password. Looking to buy a new (to you) bike, or parts and accessories? We've optimized our Classified Ads page to streamline its operation, and ensure the results are fast and accurate. There are thousands of Goldwing and Goldwing-related ads, from all over the world. Also check out our New and Used Goldwing Parts Store! If you're looking for a new bike, or Aprilbe parts for your old bike, check us out first! The Goldwing GPS Audio Input Device continues to be far and away the most popular product we have ever offered, and the tons of positive feedback we continue to receive really makes us happy that we're making something that people really like - and use. What is the GPS Audio Input Device? 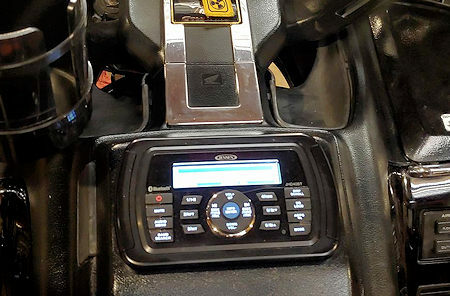 It's an American-made plug-and-play device that lets you hear the audio output of your GPS, cell phone or radar detector over your GL1500 or GL1800 (including F6B) intercom - so that you can hear the spoken instructions from your GPS or cell phone in your headset. It's a simple plug-and-play device that can be installed in minutes, and does not permanently modify any bike wiring. It's been receiving rave reviews - check it out today! Do you already have one of our GPS Input Devices? We've had quite a few people who want to buy a GPS with audio output that they know will work with the GPS Input Device. Take a couple minutes to help out your fellow Goldwingers by posting your GPS make and model on this forum thread. GPS manufacturers don't commonly specify audio output jacks as features, so it can be hard to decide which model of GPS to buy, unless you know beforehand what you're looking for. The Goldwing GL1500 G8MS-H30 Relay is a relay used for quite a few different functions in the GL1500. The GL1500 is filled with relays - there is a box full of them, next to the fuse box! These relays are mechanical devices, and have a limited life. When they do fail, critical systems can be affected, leaving you stranded! It's always a good idea to carry one or two spare relays with you. We have these high-quality relays in stock, at less than half the price that you can buy the equivalent OEM relay from Honda! If you have a GL1000, GL1100 or GL1200 Standard Goldwing with mechanical (not electronic LCD) temperature and fuel gauges, you've had this problem. Or...you will. It's only a matter of time. You'll start noticing thkat your temperature and fuel gauges are reading off the scale - the temperature is in the red, and the fuel shows full. The only thing is, the bike isn't overheating, and you know you've only got a quarter tank left. Or...even worse: your bike is operating normally, and suddenly your temperature and fuel gauges just turn off, and look like the picture to the right. How much fuel have you got left? You'll have to guess! What's causing it? A faulty, worn-out 7 volt voltage regulator. Behind the fuel and temperature gauges is a special voltage regulator that turns your motorcycle's normal 12 volts into the 7 volts on which these two gauges run. When it starts to fail, it typically starts doing so intermittently. Left in a failed state, it can cause damage - allowing a full 12 volts into your temperature and fuel gauges, destroying the delicate coils inside! That gets expensive, requiring the replacement of the entire center gauge cluster! What's the solution? For almost five years, we've been manufacturing a modern, solid-state 7 volt regulator to fix this problem once and for all. Hundreds and hundreds of Goldwing owners all over the world now have operating fuel and temperature gauges thanks to our 7 volt regulator. If you've got this problem - or you know someone who does - check out our 7 Volt Regulator and get it fixed! Do you have pictures of your bike you want to share? Of course you do! And we want to see them! We have one of the largest collection of Goldwing-themed images on the Internet, with over 11,900 images, and it grows every day. Visit the Member Picture Gallery, view some of the great pictures, and add yours to the collection! Want to do some of your own maintenance but scared to take your bike apart? You're going to like this: We have tons of world-reknowned How-To Articles articles - the largest collection of Goldwing How-To Articles on the Internet! Even if you think you might not be capable of working on your bike yourself, our illustrated, step-by-step instructions make it easy - even for the beginner. Check them out today! We've added lots of new ones, and more are being added all the time. Looking for a deal on a Goldwing, parts or accessories? 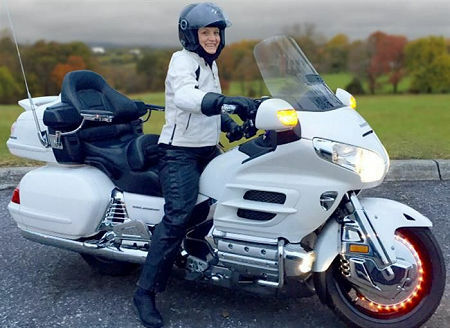 Have you checked out our Goldwing Classifieds section? We have literally thousands of Goldwings and Goldwing-related accessories listed, primarily by private sellers from around the world, updated twice a day. If you're looking for a new-to-you bike, or something to add to your existing Goldwing, you should check us out first! 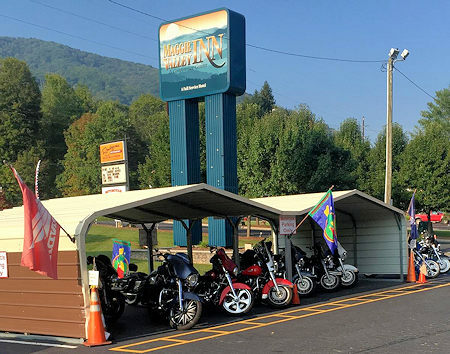 And don't forget to check the GoldwingDocs New and Used Goldwing Parts Store, where you will find hundreds of parts and accessories for your bike! 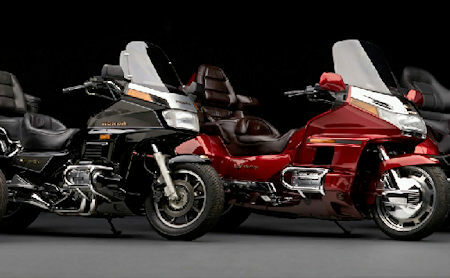 If you haven't visited our Goldwing Message Forum lately, you owe it to yourself to check it out. With hundreds of thousands of messages posted by tens of thousands of helpful and friendly people, you can just about guarantee that you will find the information you're looking for, or find an interesting topic to chat about. Stop by and just say hello, we'd love to hear from you! The GoldwingDocs Vendor Database is a great place to search for sellers of Goldwings, parts and accessories. Not only do we have a huge, user-maintained database of vendors, but each of those vendors is rated in several categories, with written reviews from other Goldwing owners. Both traditional bricks-and-mortar vendors and Internet vendors are represented. If you want to check up on the reputation of an online vendor, or simply look for a Goldwing-friendly shop nearby, the GoldwingDocs Vendor Database has got what you need! The GoldwingDocs Member Picture Area has over 11,900 pictures, all uploaded by GoldwingDocs members. 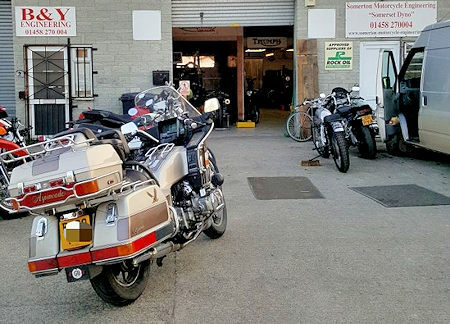 There's nothing that Goldwing owners love more than to show off their bikes - so take a few minutes and upload a few pictures of your pride and joy, to share with the world! You can search through all of the existing pictures, or just browse to your heart's content! This newsletter is sent on the first day of each month.